05:34 What does Matthew study in School? 08:50 Shout out to Matthew’s parents and all they did to support Matthew! 15:30 What is Matthew’s favorite? 20:30 Road Field trip to the Vistors Center! 21:30 Are we afraid to share with non-collectors l iike we are? 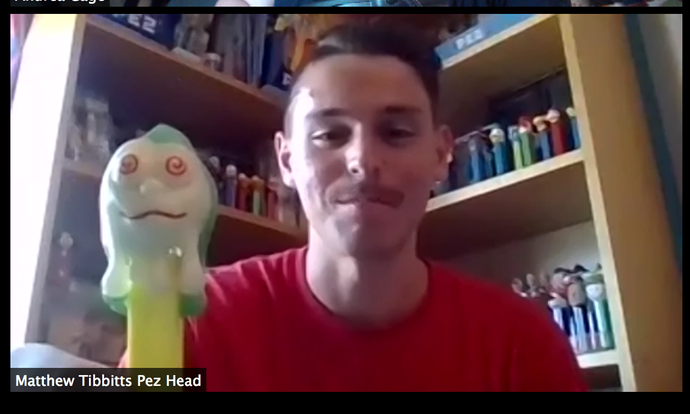 26:45 He has run with pez! 31:45 His favorite vintage – Like Justin! 34:25 Matthew asks us some questions! 39:00 Has he given any pez away?